What makes our detox packages & program different? All detox packages are tailored to your individual needs! While the online program has been developed for those wishing to have a self paced, self learning experience. It has been designed to offer a solid basis to kick start your journey to optimal health and vitality. With our detox packages & program no starvation diets are necessary, meals are wholesome, filling and nutritious! Other detox packages & programs may leave you feeling hungry, sick or lethargic, while ours will bring energy & vitality. Ever done a detox where juices and smoothies are the only meal plan? On our detox packages & program juices & smoothies are included as part of the menu plan, not AS THE menu plan! You’ll also be fully supported to make nutritional, lifestyle & environmental changes, to benefit your health! You’ll receive 4 weeks worth of menu plans, with shopping list and recipes, to help you use food as medicine. Our detox is designed to aid in reducing the inflammation in your body & promote healing. You also get full email support for the course of your package or program, to help you gain optimal results. PLUS YOU GET ACCESS TO BONUSES THAT WILL HELP YOU DETOX YOUR MIND, BODY, LIFESTYLE & ENVIRONMENT! The detox packages are available in clinic face-to-face Or via online consultations (I use zoom). The 6 week detox program is totally online and can be undertaken as a self paced program or as part of our detox packages. All packages receive the benefits outlined above under the “6 Week Tailored Detox”. You then have the option of adding a supplement program to support the detox (Highly Recommended). 1 – The Health Reset – A Foundational detox package designed to reboot & reset, to allow you to return your body to optimal health. 2 – The Gut Pathogen Elimination – An extension of the Health Reset, to aid in extreme gastrointestinal conditions & symptoms. This Elimination aids the removal of digestive pathogens and promotes a healthy intestinal microbial balance. 3 – Love Your Liver – Building on the foundational reset to provide extra support to the main detoxification organ, the liver. In times where a higher demand is needed (eg. chemical exposure, lifestyle habits, environmental toxins, living conditions, working conditions, hormonal imbalance). 4 – Totally Tailored – everyone is unique and there are circumstances when I feel a totally tailored supplement approach is required. This may be a combination of the supplements used in the above programs, or a totally unique supplement recommendation, just for you! Supplements are an additional cost and the cost will vary depending on individual needs. All supplements are provided via a script to my online dispensary and once ordered are delivered direct to your door, it’s that easy! Note: the program is designed so you can purchase supplements to start week 2 and week 4, to split the cost, if required. #Costs may vary depending on individual circumstances and will be discussed in the first consultation. Detoxification is part of our natural metabolic process, undertaken by the body to eliminate environmental, dietary, lifestyle and metabolic toxins that we are exposed to daily. During detoxification these toxins are changed into less toxic substances and excreted from the body. Please note: signs and symptoms may be linked to other health conditions and illnesses, it is important to seek advice from your general health practitioner if you are concerned about any symptoms you are experiencing. What results will I get? Results will vary depending on the individual and their current health status. However, a detox can improve sleep, energy, skin, gastrointestinal function, chronic pain &/or inflammatory conditions. It may also promote weight loss, changes to mood, hormonal balance and improvements in concentration & Memory. If you have further concerns about your health, you should consult a medical professional, as the program and packages are not meant to lead you away from medical advice. I’m Pregnant/Breastfeeding, can I do a detox? It is not recommended to undertake a detox whilst pregnant, as harmful toxic metabolites can cross the placenta and harm the growing baby. It is however, recommended that you undertake a detox no less then 4 months before commencing trying to conceive, followed by a 3 month health & lifestyle program. An ova is susceptible to damage for approximately 100 days before ovulation and sperm takes approximately 76 days to form, so ensuring we are healthy for 3 months, before commencing actively trying for conception gives us the best chance of conceiving and carrying to term a healthy baby. Likewise it is not recommended to detox whilst breastfeeding, as toxins can accumulate in the breast milk and be passed onto the baby during feeding. I’m on medication can I still detox? Detoxification should not interfere with your medication. However, some drug interactions or contraindications may occur. Please contact me before commencing the online program or bring a list of medications along to your first appointment if undertaking the package, so this can be assessed. Most people tend to experience some kind of detox symptoms, as the body works to remove toxins and impurities, particularly when toxins are removed from the liver. Symptoms depend on the individual, their level of toxicity and how over-burdened their detoxification pathways are. Symptoms are quite often related to the cessation of lifestyle habits or dietary indulgences like alcohol, caffeine & sugar. Adverse reactions: If you experience rashes, vomiting, chills, flu-like symptoms this could be a sign of detoxing too fast or a reaction to some of the herbs. It is important to stop taking the supplements and contact me for further support – as a mild discomfort is ok, but you should never experience severe symptoms. If you have breathing difficulties, heart palpitations or any concerning reactions – seek medical treatment immediately. You can expect to eat a diet rich in fresh, whole foods. The menu plans are designed to be nourishing, anti-inflammatory and supportive to the detox. You will also be supplied an “allowable foods list”, so you may choose to create your own meals using these ingredients. Those on the packages will also receive a BONUS Detox Recipe Book, use this book to swap out meals you don’t like or create your own menu for the week. Aim to purchase organic where possible, or follow the preparing your produce tips if organic is not within your budget. How does the program or package work? ONLINE PROGRAM: Once you have purchased the online program, you will be sent an email within 24 hours, outlining how to access the program online. This email will also provide information on how to join the private Facebook Group. You will also be sent an email at the beginning of each new weeks module, to help guide the process. You can also send emails at any time and they will be answered withing 24 – 48 hours, throughout the 6 week program. 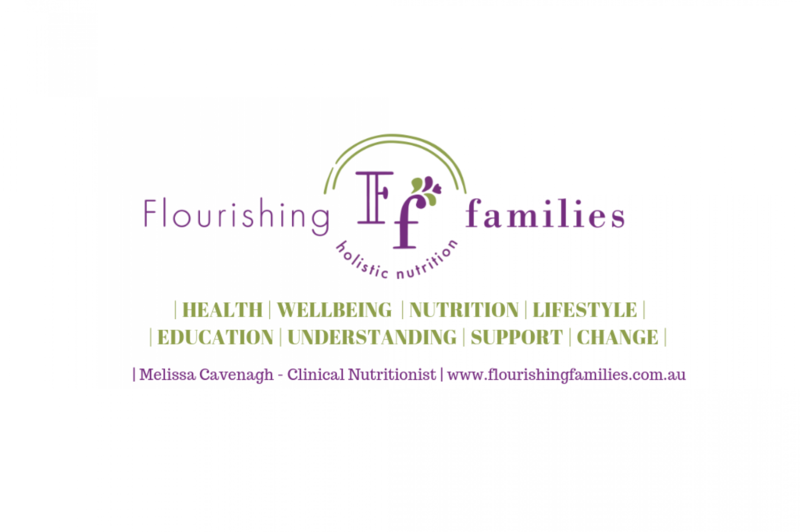 discuss your current health & medical history, your current signs & symptoms, your health goals and the reasons you would like to undertake a detox. a tailored individualised program will be decided on and you will be provided with your detox guide to take home and review. If you are undertaking the Bio-compatibility testing option, this can be carried out in this appointment. We will also book in your week 3 & 6 appointments. After the appointment you will be provided with an email giving you access to the online program, private facebook group and information on how to carry out the detox. At this time a script for supplements will also be forwarded. Payment plans are available, please email me to make arrangements. ONLINE PROGRAM: 3 weekly payments of $70.00, starting from purchase date, totaling $210.00. PACKAGES: 4 weekly payments of $149.00 commencing from purchase date or first consultation, totaling $596.00. PAYMENTS WILL BE AUTOMATICALLY DEDUCTED USING PAYPAL. Failure to make the payment will forfeit your access to the program or package and no refunds will be available for the portion already used or supplements purchased. By undertaking a payment plan you are agreeing to fulfill the total purchase price, on time, under the schedule outlined. Refunds are not available, so please ensure this program or package is right for you before commencement. If you have any questions prior to commencement you can contact me for further information. If you have a diagnosed health condition or any medical concerns it is advisable to contact your medical practitioner before commencing the program or package. If you still have questions, please feel free to contact me either by phone, email or facebook messenger and I would be happy to answer any questions.